The Model T9040NLR 16-Channel Noise, 16-Channel Logic/Voltage, 8-Channel Relay Interface is a unit especially designed to interface with up to 16 IED 540S Ambient Sensors, 16 logic or voltage signals, and 8 relays. 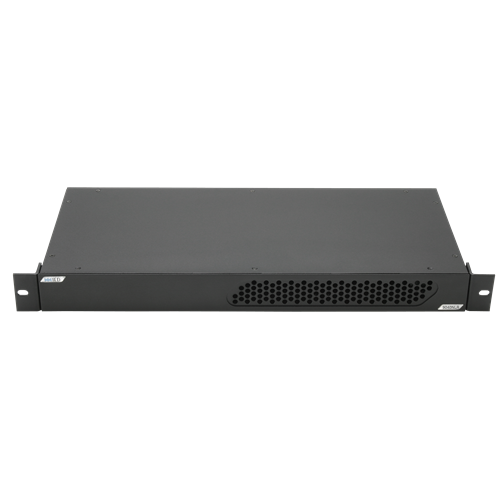 This device is designed to mount in a 19 inch equipment rack/cabinet, taking up only 1 rack unit (RU) of space or 1.75” of vertical space. All cooling is back to front, so no additional vertical space is required in the rack for cooling. 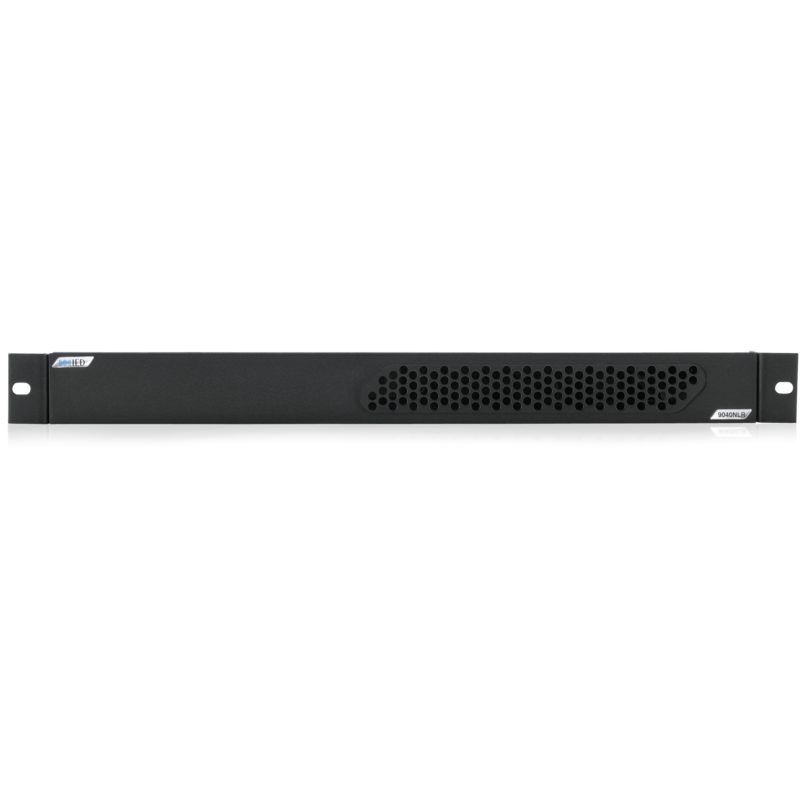 The mainframe has removable rack mounting ears, which may alternately be placed near the bottom of the mainframe for ease in mounting this unit on a wall, such as in a telephone closet, or on the back for rear rail mounting reinforcement. The interface has connections for up to up to 16 IED 540S Ambient Sensors, and it supplies the 27 Volts of DC power required by the sensors. The collector samples the readings from all sensors several times per second and sends the readings to an IED T9160 Titan Series mainframe to perform the Ambient Analysis calculations. The interface has connections for up to up to 16 logic or voltage ports. 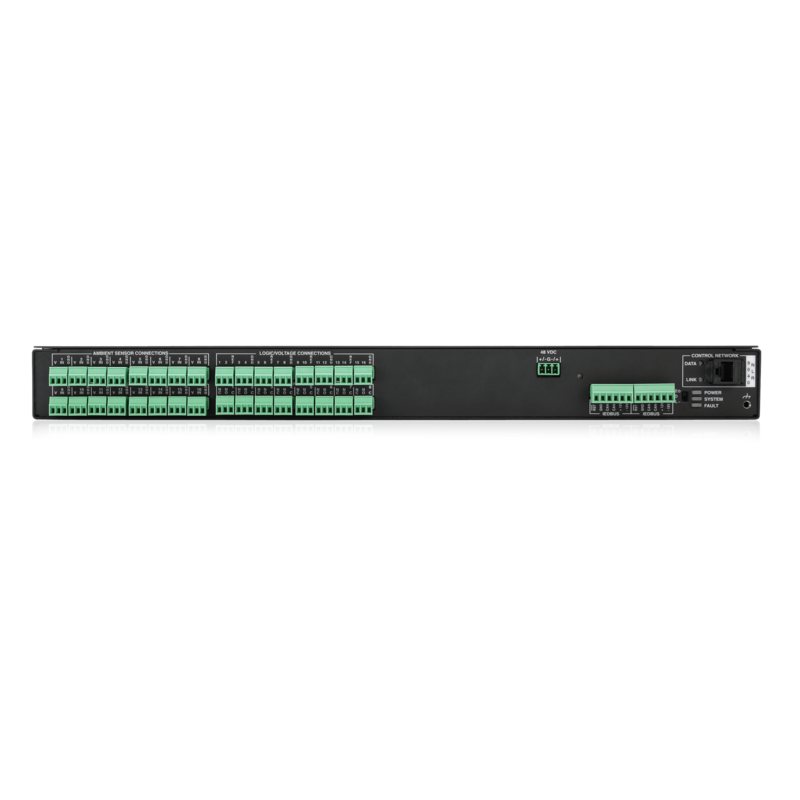 The 16 ports can be configured as inputs or outputs, and they can be configured for logic or voltage. However, the configuration options must be consistent in each of the two banks of eight ports. 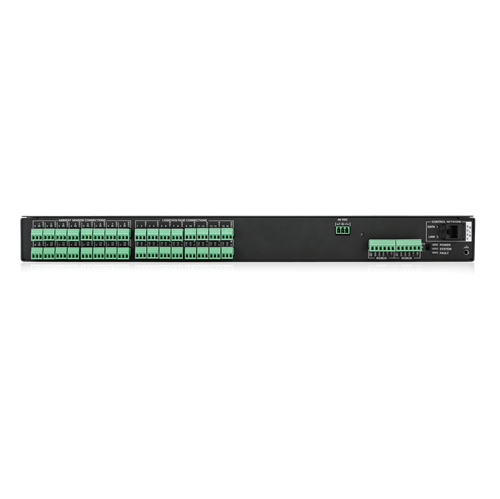 For example, configuration options include: 8 logic inputs X 8 logic outputs, 8 voltage inputs X 8 voltage outputs, etc. The inputs are designed to handle up to 24V for logic signaling and can measure input voltages in the 0-10V range. It is software selectable as to whether inputs are treated/reported as logic states or voltage values. For example, when set to “logic” any voltage below a threshold is reported as a logic zero and any voltage above as a logic one. The unit also has software selectable pull up/down resistors on the inputs to allow it to handle different logic type systems such as voltage signaling, current sink and open-collector signalling. This setting is configurable for each bank of 8 inputs The unit also has interface connections for up to up to 8 form C relay outputs. The T9032NLR collector links to the T9160 mainframe via Ethernet or (future) CAN bus connection. 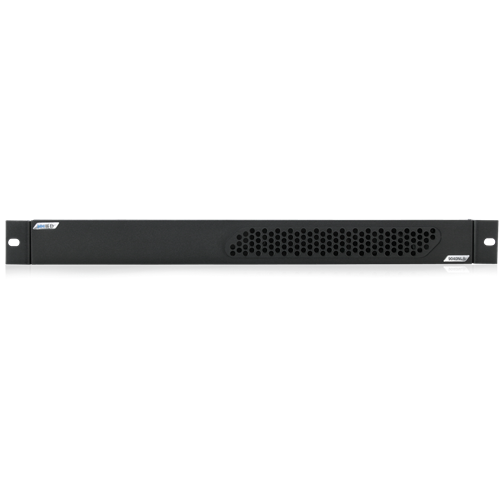 The collector is powered in a number of ways such as Power over Ethernet (PoE) from an IEEE 802.3af compatible Ethernet switch, a 48 VDC local power supply, or (future) power supplied over the CAN bus from another Titan frame.